Creating, using, and evaluating cybersecurity tools and systems are complex tasks. Cybersecurity professionals are attracted to these challenges and motivated to use their expertise to bring sanity and solutions to real world problems. Applying science to this process is often relegated solely to academics in ivory towers. This webcast will provide an introduction and practical information about how you can use science to understand and improve the tools you build and use everyday. Whether you're a student, software developer, forensic investigator, network administrator, or have any other role in providing cybersecurity, you'll learn about the relevant scientific principles and flexible methodologies for effective cybersecurity. This webcast will focus on real-world applications of science to your role in providing cybersecurity. You'll learn about why science is worth the added effort, how to develop your own cybersecurity experiments, and insights from specific examples of experimentation in cybersecurity. 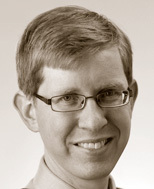 Josiah Dykstra is a researcher and technical lead at the Department of Defense. He received his PhD in computer science researching the technical and legal challenges of digital forensics for cloud computing. His research interests include network security, intrusion detection, malware analysis, digital forensics, and cloud computing. He is active in the academic research community, serving on conference committees including Usenix Security and the Digital Forensics Research Workshop. Josiah is a member of ACM, IEEE, American Academy of Forensic Sciences, Cloud Security Alliance, NIST Cloud Forensics Working Group, IFIP Working Group 11.9 on Digital Forensics, and American Bar Association E-Discovery and Digital Evidence Committee. He is a professional classical musician and an amateur chef.